Florida seat belt laws are described in Florida Statutes, Title XXIII – Motor Vehicles, Chapter 316 – State Uniform Traffic Control, Section 316.614 – Safety belt usage. These sections of the law govern the use of car seat belts for adults and children. 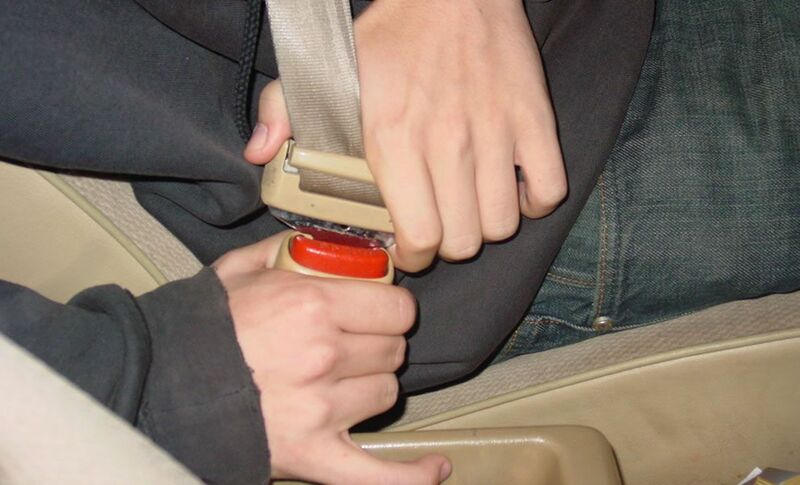 Below you can find our quick breakdown of Florida seat belt laws for all passengers. What are the car seat belt laws in Florida? In the state of Florida, all front seat passengers must always wear a seat belt. Florida Statutes, Title XXIII, Chapter 316, Section 316.613 – Child restraint requirements. Florida Statutes, Title XXIII, Chapter 316, Section 316.614 – Safety belt usage. Additionally see our article about Child Passenger Safety Seat Laws for more information on requirements, regulations and penalties for child restraint systems. How much is a ticket for seat belt in Florida? Not wearing a safety belt in Florida is considered a nonmoving violation which results in $30 fine, plus additional costs. Drivers will get cited for each underage person who is not properly restrained with a safety belt or child safety seat. Penalty for this is $60. Driver will also receive 3 points against their driver record. Florida allows drivers who violated child restraint laws to enter a child restraint safety program. After its completion the driver license assessment points and financial penalties will be waived. Do you need seat belts or safety restraints? Wearing a seat belt increases your chance of surviving a car crash by 45%. Child safety seats reduce the risk of death by 71% for babies and 54% for toddlers. Children in booster seats are 59% less likely to be injured in a car accident. Not being properly restrained is undoubtedly dangerous. For the safety of yourself and your passengers, buckle up! This article about Florida Seat Belt Laws was last updated in 2019. If any of our information is incomplete or outdated please let us know. Thank you!